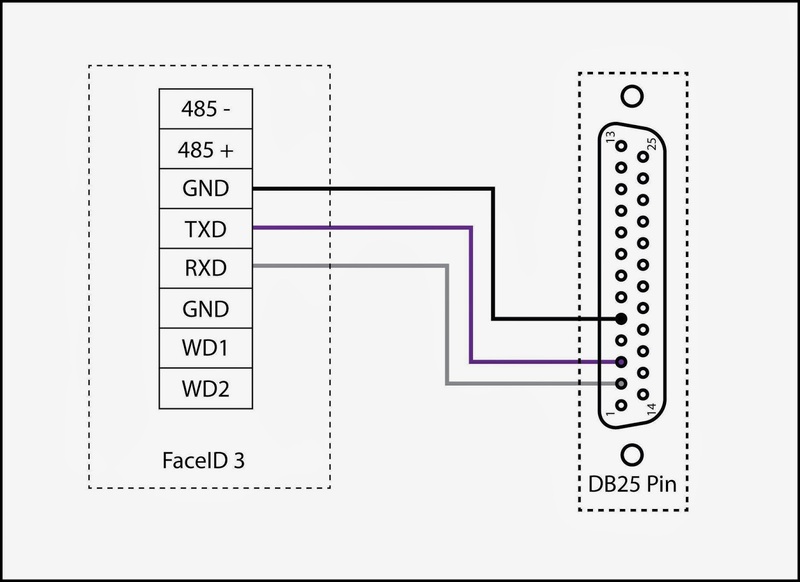 Now you can pair a Thermal Receipt Printer with Face ID 3! A receipt can be printed after every clocking in is done at a Face ID 3 terminal. Currently, the thoroughly tested model of a Thermal Receipt Printer that works with Face ID 3 is the EPSON TM-T88IV (sold in Malaysia). However, the same printer model might consist of different configurations in different countries. 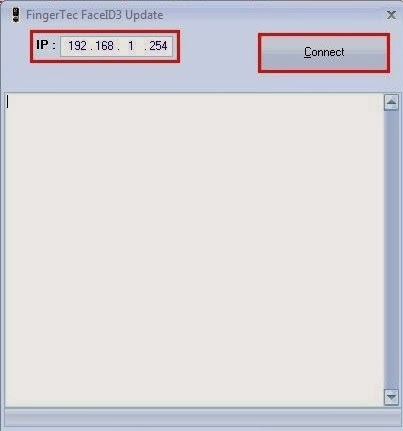 1- Key in the Terminal IP and click Connect. 2- Click Update. After the update is completed, the terminal will automatically restart. The printer option is disabled by default. To enable the printer option in the device, please go to Menu > System > General > Print Mode. You also need to change the default communication Baud Rate in the terminal to 9600 in order for the printer to communicate with the device. To change the device's Baud Rate, go to Menu > Connection > Baud Rate > 9600. 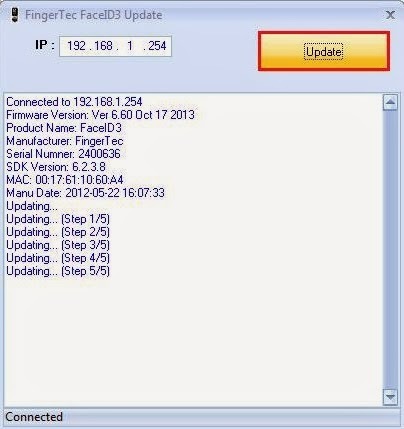 You may download the device Firmware here. 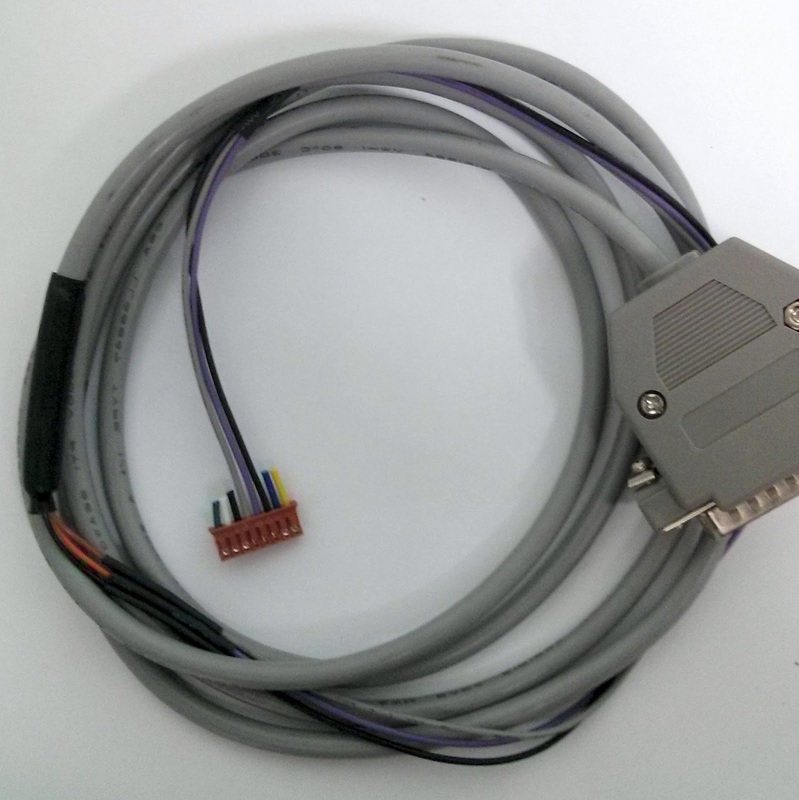 Below is a Thermal Receipt Printer Communication Cable connection with a Face ID 3 device that uses RS232 Connection.